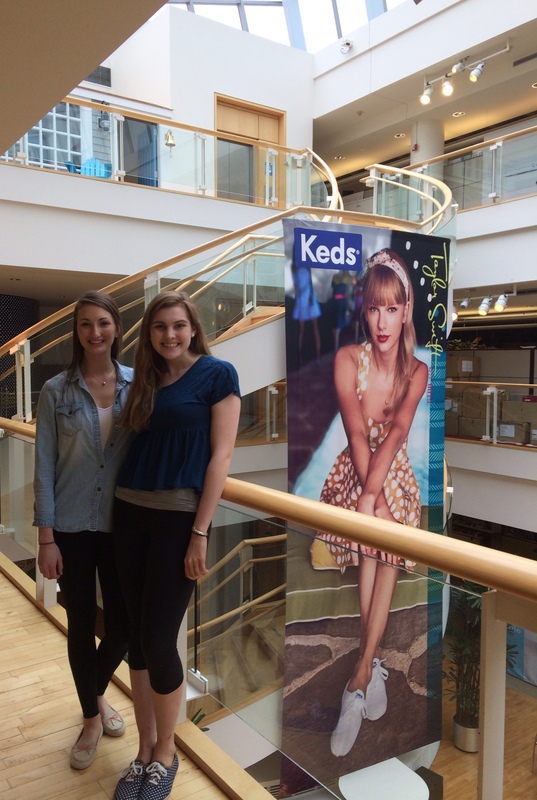 This past summer, I interned at Keds Shoes headquarters. My responsibilities included organizing and preparing sample shoes for meetings, photo shoots and reviews, giving my own input on the Spring and Summer 2015 lines and pulling materials for the 2015 Holiday line. I was also sent to do fieldwork at stores in Boston for the marketing team. Along with my fellow intern, I put together a presentation of store displays and products to raise Keds employees’ awareness of the current market. We communicated to them through a competitor’s approach to product sales. We were invited to meetings in the Keds showroom to observe the CEO and the Keds marketing and design team review the Summer 2015 line and decided which prototypes would be cut. During the meeting, the CEO asked my fellow intern and me for our opinions on a shoe. I had to be able to communicate to a room full of KEDS employees my opinion and reasoning regarding the shoe style. Communication is all about getting the word out. Whether it be your opinion at a meeting, communicating with the buyer through an ad with the company’s spokesperson, like Taylor Swift, or building relationships with other companies like Kate Spade and Hollister to create capsule collections. I went into my internship with no experience. I knew that I loved Keds and fashion and this was the type of job I was interested in learning more about. In order to know if your internship is the job you want, ask your supervisor about their day-to-day responsibilities and see if you could picture yourself doing that. Also if you’re confused on a task, ask someone for help or to clarify exactly what he or she wants. They would much rather you ask them what they want before you do it wrong and waste valuable time. People will ask for your opinion, so have a clear one with reasoning to back it up. At Keds I was expected to know fashion terms and current trends, otherwise my input seemed invalid. If the task is stocking shoes all day on a rack, do it well. Approach the task determined to learn something from it. After spending all day stocking sample shoes, when designers would come over looking for a certain pair, I knew exactly where they were so I could grab it for them right away and answer questions about designs because I became familiar with the product.